A unique tasting-experience where the cherry-black colour and the remarkable aroma leave a lasting impression. The 18-year-old Scotch is soft, round, full-bodied and leaves, a warm and pleasant aftertaste, even after several minutes. The Westport is a T-Spooned Malt Whisky – the cask originates in a renowned distillery in the Highlands where, during the filling of the cask, a single teaspoon from a different Malt Whisky was added. Therefore it is in fact a Blended Malt Scotch Whisky and is technically not allowed to carry the name of the distillery. 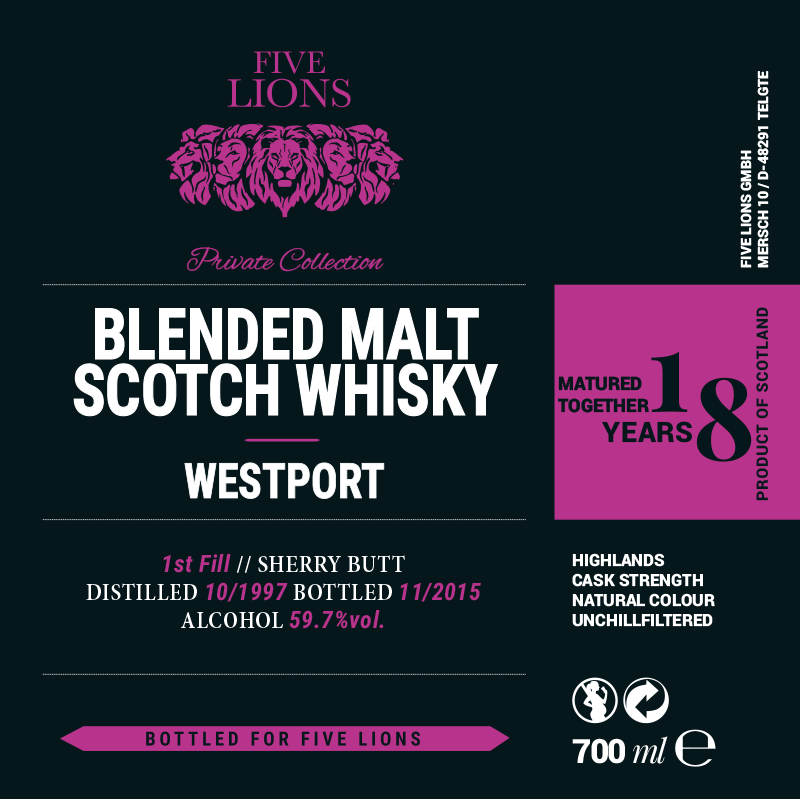 Bottlings with the name Westport, especially with this age, are rare because the distillery only gives casks to independent bottlers in exceptional cases.